Sterner Automation would like to introduce its new end of line (EOL) tester platform. Sterner Automation has been a supplier of calibration and test equipment to the automotive industry for over a decade and is now offering a standard hardware EOL platform that is configurable with a variety of software modules for seating plant applications. 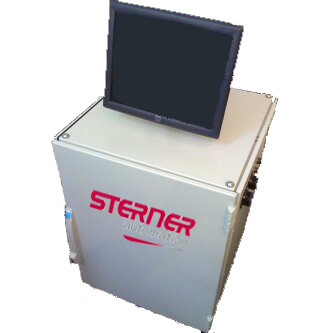 The EOL tester will be controlled by Sterner Automation’s own multi-purpose communications and controls box, the SIB. This sixth generation control system is the result of Sterner’s years of seating plant experience and includes many hardware and software features specific to the needs of automotive assembly plants.